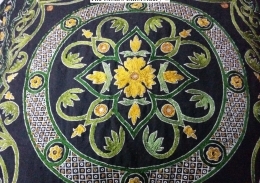 The basics of staring Hardanger embroidery includes doing Kloster blocks and cutting & withdrawing the threads. Let’s start! 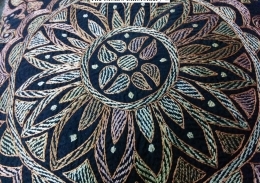 This is the most common feature of Hardanger embroidery. 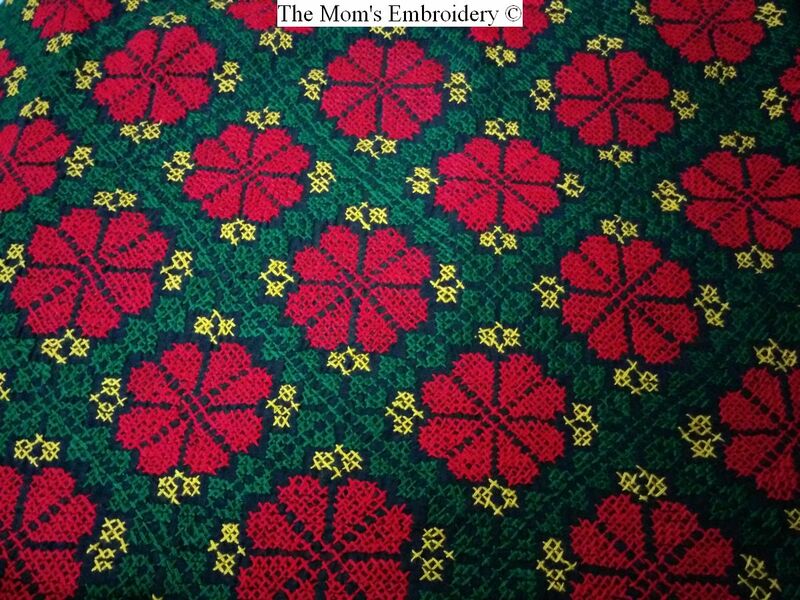 Kloster blocks are created by parallel Satin Stitches worked in a rectangular manner. All the stitches should be of same length, so the blocks look of same size. Generally a block contains five or seven stitches. 1. Pull out the threaded needle through A. 2. Insert in B and pull up from C.
3. Continue the process to make the block. Make sure the lengths of the stitches are same. A very essential part of this embroidery. The fabric between kloster blocks are cut and the threads are pulled out. 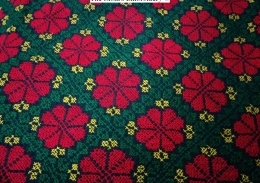 The remaining threads are embellished with different stitches. The whole process needs to be done very carefully and accurately to avoid ruining the work. Before cutting, the kloster blocks should be done first. Because these blocks will hold the remaining strands in place. 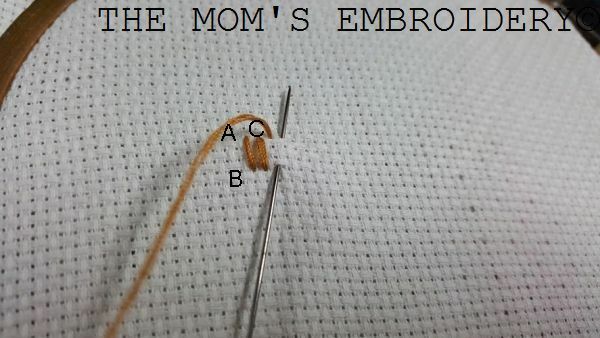 Make sure to follow the chart and do the satin stitches in the instructed way. Use sharp and pointy scissors to cut the fabric. Cut right next to the Satin stitches but make sure not to cut them. If possible use tweezers to pull the threads out. 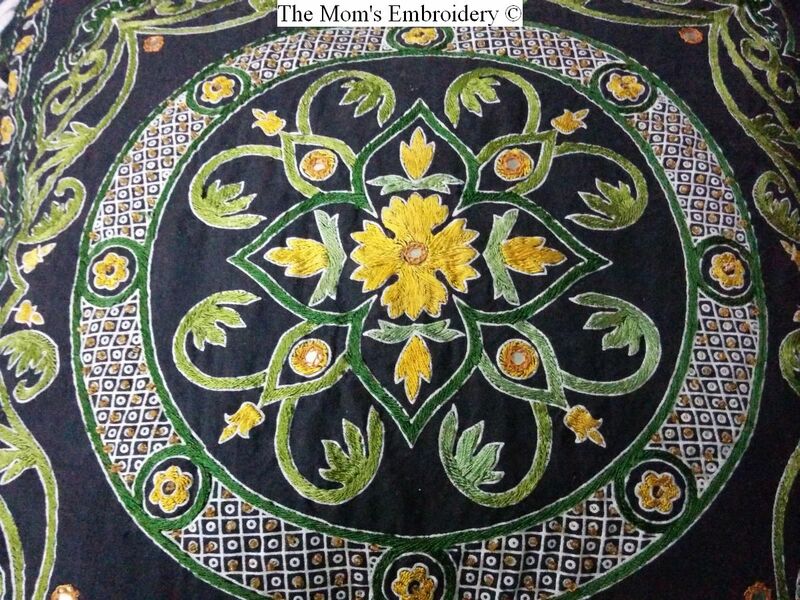 I didn’t have tweezers at the moment of embroidering the following piece, so I pulled it by hand. 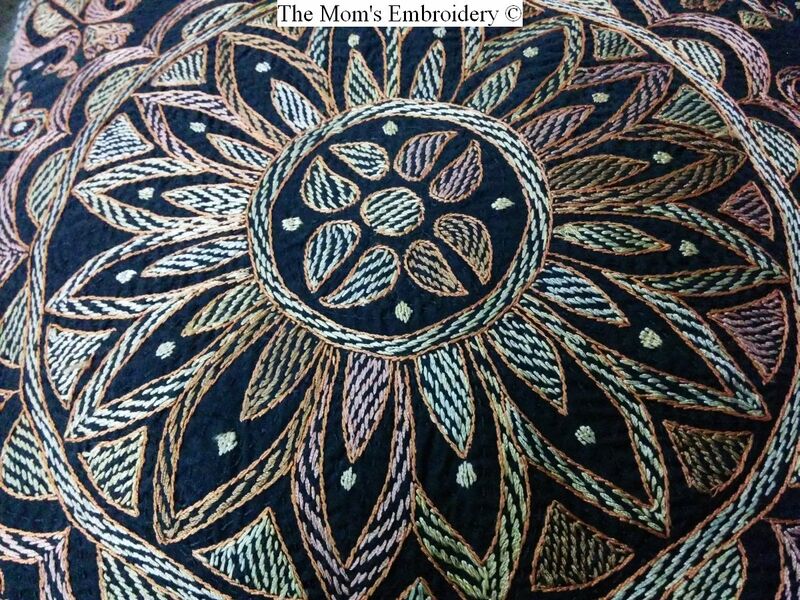 Different fancy stitches are used to embroider the remaining strands and to fill the blank spaces created as a result of pulling out the threads in between the kloster blocks. 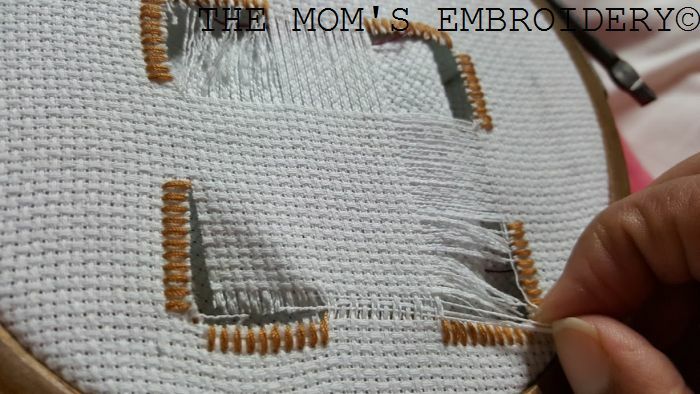 In my next post I’ll be working on three commonly used stitches and a motif commonly used to beautify any Hardanger embroidery. Till next time…….